RUSH: Let’s grab the phones, get started there. We have Scott, Stanfield, Oregon. Welcome, sir. Great to have you on the EIB Network. CALLER: Hello, Rush. A privilege and honor to speak with you today. CALLER: And kudos to President Trump, Mulvaney, and you for your efforts. My point was the lack of support we’re getting from our own Republicans that hold power. I consider them a bunch of deadweight, and you’re talking about 2018 elections and landslides. What about other Republicans sitting on the side benches waiting to get in? Won’t they stand a good chance with the voters replacing the current 2018 incubus that would actually support Trump’s agenda and back him? RUSH: What do you mean Republicans sitting on the side benches? CALLER: Other Republicans that are able to run in 2018 against those that are currently sitting. RUSH: Oh, you mean primary challengers? RUSH: No, no. I just wanted to make sure I understood. 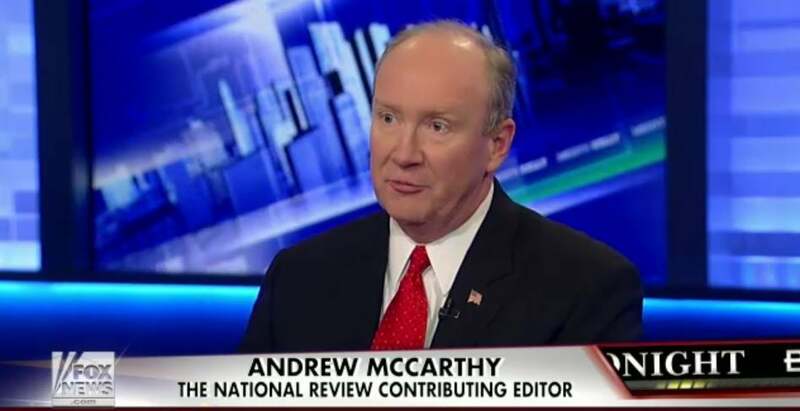 Look, the way to address this, my buddy Andy McCarthy posted a piece at National Review today advising Republicans on the committee how to deal with what Brennan is up there testifying, and the Democrats and the attempts they’re making at establishing a connection between Trump and his campaign to Russia. And he’s like a lot of us, he’s frustrated, there’s no push-back, maybe a little from Trey Gowdy. But there’s no push-back. Andy wonders why aren’t these guys asking Brennan about the collusion between Russia and Hillary and the Clinton Foundation. And he’s suggesting a number of different ways the Republicans could get in this game and defend Trump and go after the Democrats much the way the Republicans are being sought by the Democrats here, turn the tables on ’em. But he’s seeing none of this happening. And when he wrote this, I had a reaction to it. Not only are we not seeing any of this, we’re not seeing anything really serious on repealing and replacing Obamacare. The Republicans have acted like obstacles to that ever since Trump was inaugurated. The Republicans are joining whatever effort there is out there to stymie immigration reform, including the wall, the Trump agenda. And now this budget. You could easily conclude that the biggest obstacle Trump has here is — ’cause the Democrats are a known quantity. It’s known they’re gonna oppose. But it’s as though the Republicans — it doesn’t make sense, the way I theorize. Doesn’t make sense. The Republicans, it’s as though they think that Trump is taking them in a dangerous direction, and the only way they can survive and win in 2018 is if they distance themselves from Trump. I’m telling you, it’s senseless. But somebody’s telling ’em to do it. Paymasters or whoever. RUSH: I’ll tell you something else. There’s a legitimate reason to investigate any collusion between the Obama Department of Justice and the Russians in trying to affect the election. All this talk about collusion between Trump and the Russians? It was the Obama DOJ that was out there surveilling the Trump campaign — and then the unmasking and investigation into the leaks and the unmasking, which Comey said, “Oh, no, no, no! We’re not interested in that,” which really ticked Trump off. There’s all kinds of ways the Republicans on Capitol Hill could be returning fire here. That’s why… (sigh) If this domestic agenda got kicked into gear, if what the plan was on immigration — the wall, either way — were to started… Just do it. It’s part of the promise. People are expecting it. It would work just as the threat to build it is working. This budget… Something has to happen this economy. Something. There has to be tax cuts, there has to be repatriation of foreign money. Well, American corporation money that’s being held overseas ’cause it’s too expensive to bring it back here because of the tax rate. There is too much economic growth not happening that needs to be jump-started. There are too many jobs to be created, and there’s too much wealth waiting to be created. If that got going, there’d be no stopping Trump; I don’t care what the Democrats think they’ve got on any of this collusion with the Russians ’cause there’s nothing there. And the fact that… And the Republicans, look, they’re not dumb. They have to know that this would be the case. But it isn’t happening, is it? RealClearPolitics: Gowdy Grills Brennan: Do You Have Evidence Of Trump-Russia Collusion Or Not? Brennan: "I Don't Do Evidence"
Breitbart: Did Brennan Start Russia Investigation Because of Liberal Media Bias?